Imrijka was raised in an orphanage in Lepidstadt, a pistachio-skinned girl who was indoctrinated into the faithful of Pharasma. Since becoming an initiate inquisitor in that faith, she's traveled most of Ustalav and beyond, regularly returning to Gravecharge to visit and check up on those she grew up with and cared for. 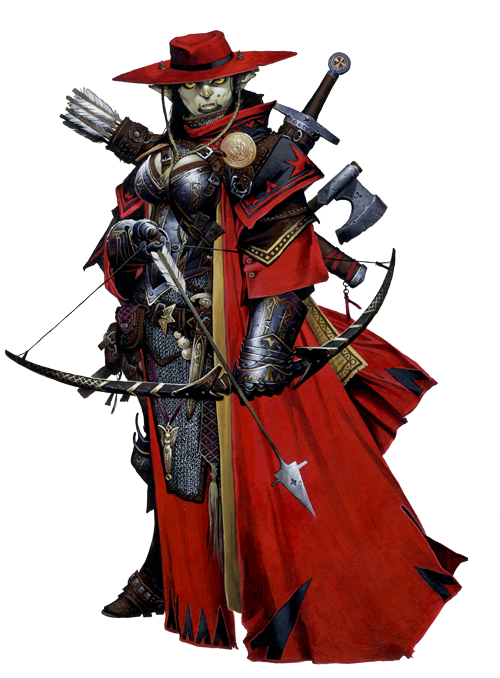 Would you like to learn more about Imrijka, the Iconic Inquisitor? Read her Meet the Iconics entry over at the Paizo blog, or any of the other blog posts that mention her!